Learn how to download the 4K graphics for your games on the Xbox One X. The Xbox One X is here and Xbox fans everywhere are enjoying the 40% extra power over every other console currently on the market. Before you can slip into your favorite game and soak up the 4K graphics, you’ll actually need to know how to download 4K game content. But before even that, make sure you’ve got your Xbox One X all setup with the 4K turned on. Now that the Xbox One X is in our homes and offices, console gamers are able to experience the thrill of true 4K. The only thing is – at the moment – games aren’t 4K right “out of the box”, you will need to make sure you have downloaded the 4K game content so you can experience the highest fidelity graphics. There are currently two main ways of downloading 4K game content: before you upgrade to an Xbox One X or after you’ve already upgraded. For a lot of people, downloading 4K game content before upgrading to an Xbox One X will be the best course of action. This gives people time to save for the new console while also ensuring their games will be running at 4K as soon as they put the discs in (or boot up the digital file). To download 4K game content on your Xbox One or Xbox One S, press the Xbox button to open the Guide and navigate to the Systems tab. Open Settings, System, then Backup & transfer. Select the “Download 4K game content” option to begin downloading any 4K content for games you own. After this has finished downloading, you can copy these games to an external storage so you can transfer them to your Xbox One X and not have to worry about downloading them again. If you jumped straight into the Xbox One X without realizing you needed to download 4K game content, don’t worry – you can do it now! There’s no need to dive into any settings, simply boot up your Enhanced game by putting in the Blu-ray disc or loading up the digital game, and you will be prompted to download the 4K game content. 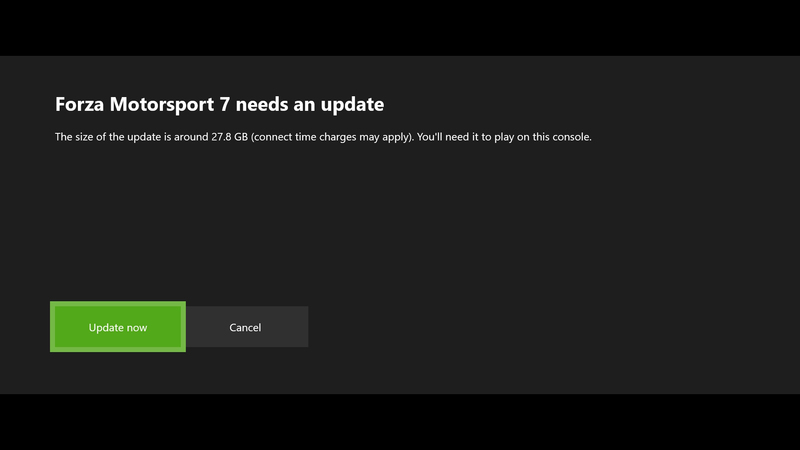 This isn’t a required update, but if you refuse, you won’t be able to play the game in 4K until you download the game content. Once the download begins, you will need to wait until it is completed before you’re able to play the game. 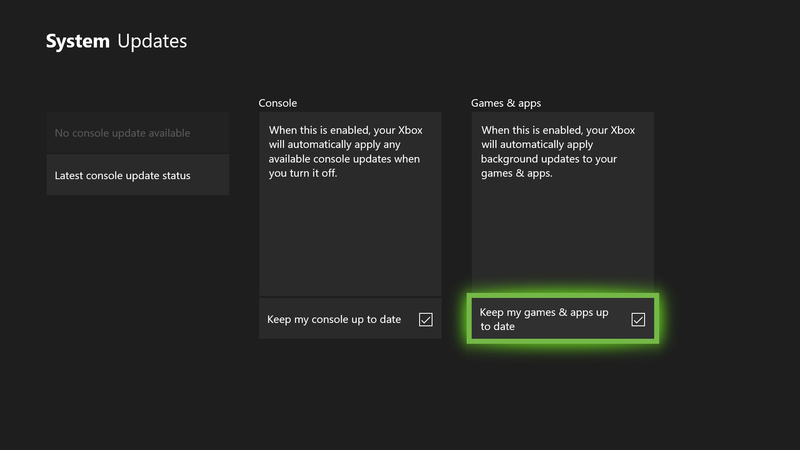 In the event you prefer your Xbox One X to keep itself updated automatically, you can turn this option on in the settings. Open up the settings and go to System, Updates, Games & apps, and make sure the box is checked where it reads: Keep my games & apps up to date. One final thing, whether you download the game assets before or after you upgrade, it’s a good idea to use an external hard drive to store all your games, as the 4K game content file sizes are huge.